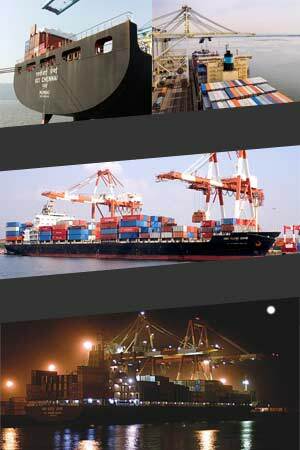 Container Movement (Bombay) Transport Pvt Ltd (CMT), was founded in May 1989. CMT was then appointed, in 1994, as marketing agents for the Shipping Corporation of India Ltd (SCI), when SCI re-introduced its new direct cellular service from India / Indian Sub continent and Sri Lanka to the UK, northern Europe and Scandinavia. Over the years SCI has been part of several services such as Mediterranean, Fareast and China, Yangon many of which have been with partnerships and joint ventures and some even on slot sharing basis. CMT was entrusted with the sole charter for marketing SCI's container shipping services in west and north India. Today, it handles an annual throughput of around 1,00,000 TEU, comprising both EXIM and coastal cargo, though SCI has made a foray into coastal shipping only in last 5 years and successfully so, emerging as the 2nd largest coastal operator. CMT represents SCI in North and west of India serving the trade mainly out of gateway ports of Nhava Sheva and Mundra, though we have our offices and trained personnel operating in smaller ports of Kandla, Pipavav, Hazira, Mangalore, Goa etc. CMT has its own offices in Mumbai, Delhi, Ahmedabad, Ludhiana, Jaipur, Indore, Pune, Nagpur & Kanpur from where we accept bookings, release B/L and are involved with the entire gamut of shipping activities. At all of CMT's locations, we have fostered people who have rich domain knowledge, which has helped SCI to emerge as a major player in container shipping, especially for the European trade.